ca 250 - 275 A.D. 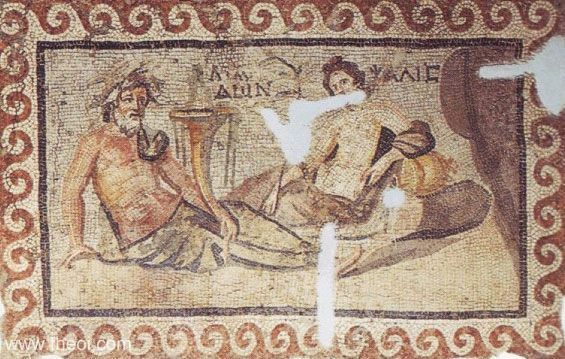 The Arcadian river-god Ladon reclines beside the Naiad Psanis. The god is crowned with reeds and holds a cornucopia (horn of plenty) in his hand. The nymph rests her arm upon an upturned, golden water-pitcher spilling water.